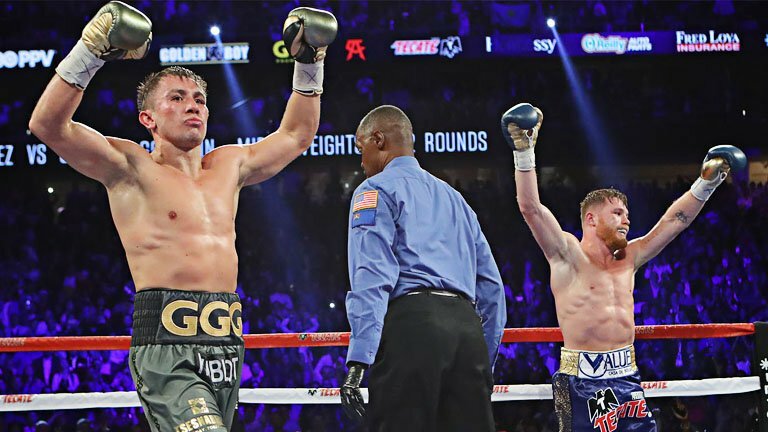 Gennady Golovkin and Canelo Alvarez are widly viewed of two of the best boxers in the world right now. Their long awaited clash, which took place in September 2017, was promoted as the most important bout in boxing. The two best fighters in the world would collide. A winner would emerge and we would finally learn who is number one. The bout thrilled fans but ultimately did not deliver on its promise. The judges called it a draw. Naturally, the next move was to set up the rematch and finally get a definitive answer as to who is the best. Canelo and Golovkin were set to compete again on May 5th of this year. However, the planned rematch fell through when Canelo failed a drug test one month prior. Alvarez cleared his name with WADA though and the two camps began re-negotiating the rematch. After some blips, the sequel is officially on. Oscar De La Hoya of Golden Boy Promotions broke the news yesterday. Golovkin vs Canelo 2 is booked for September 15th in the T-Mobile Arena, Las Vegas. Let’s hope the rematch is as fun, or even better, than the first meeting.